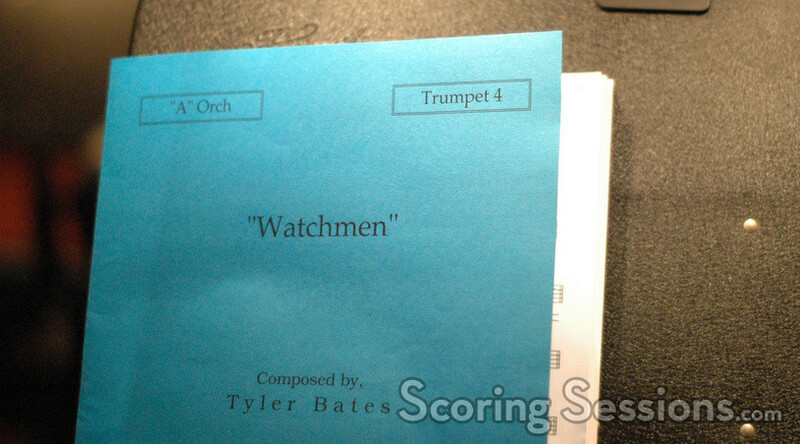 This past fall, composer Tyler Bates was at the Eastwood Scoring Stage to record his score for the highly anticipated film adaptation of the classic graphic-novel Watchmen. 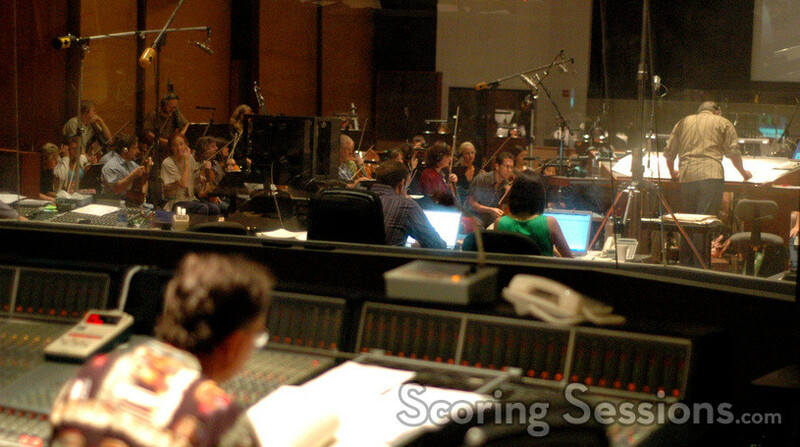 Directed by Zack Snyder, the film stars Carla Gugino, Billy Crudup, Patrick Wilson, Matthew Goode and Stephen McHattie. 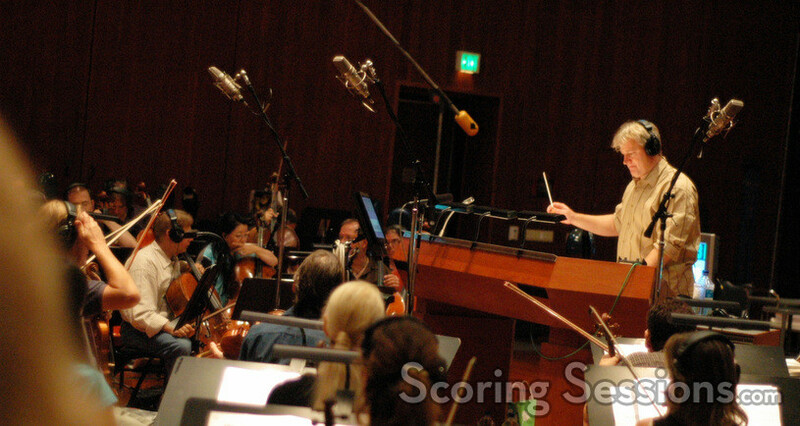 Bates’ score was conducted by orchestrator Tim Williams with an 87-piece ensemble of the Hollywood Studio Symphony. 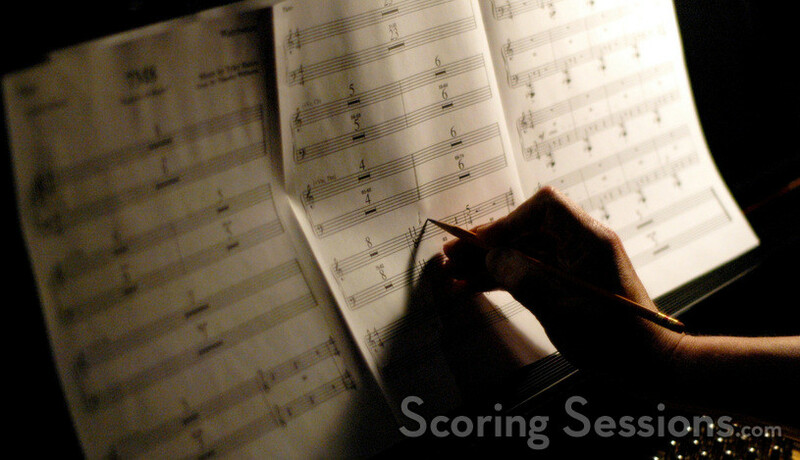 One of the main themes heard in the film has a very strong ascending brass melody, backed by rhythmic orchestrations that hint at the steady momentum of a ticking clock. 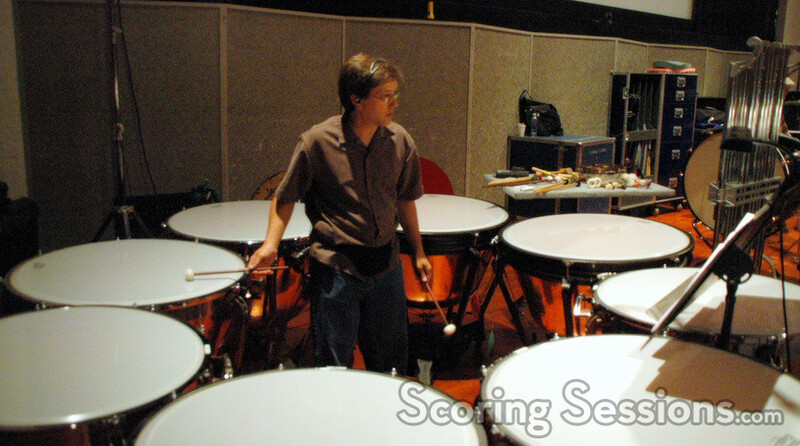 Led by concertmaster Belinda Broughton, the orchestra had a good energy about them, and a unique layout, with the basses and French horns split in two, and put on both sides of the stage – with the brass in the middle. There was also a nice moment of celebration when two birthdays were celebrated (for violinist Bruce Dukov and pianist Randy Kerber). Randy Kerber and Bruce Dukov’s birthday cake! 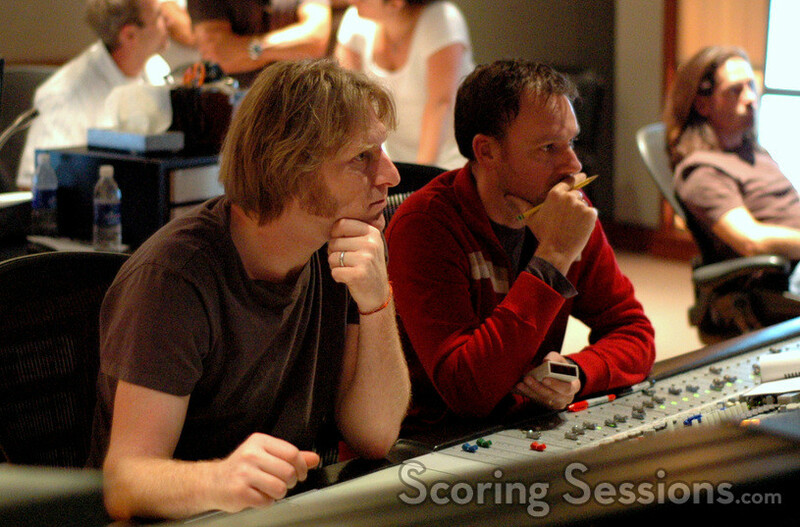 In the booth, Gustavo Borner was handling the score mixing duties, and Bates was giving feedback to the stage. 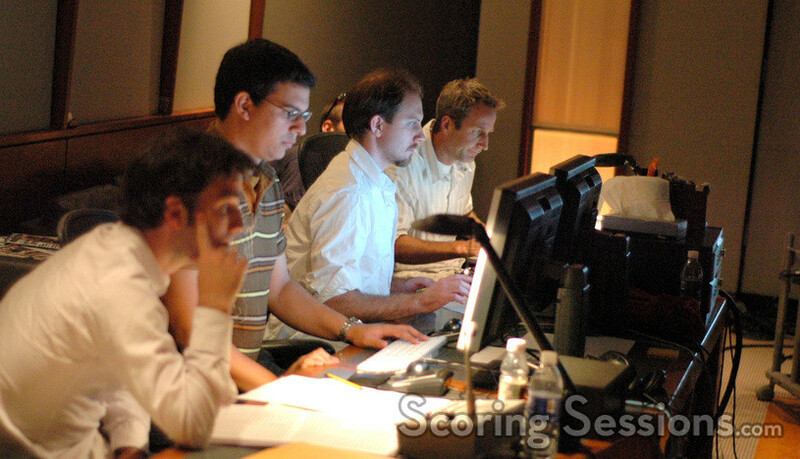 Also lending a hand were copyist Ross DeRoche, assistant engineer Justin Moshkevich, ProTools operator Jason Newman and music editor Darrell Hall. Watchmen will be released by Warner Bros. on March 6, 2009. 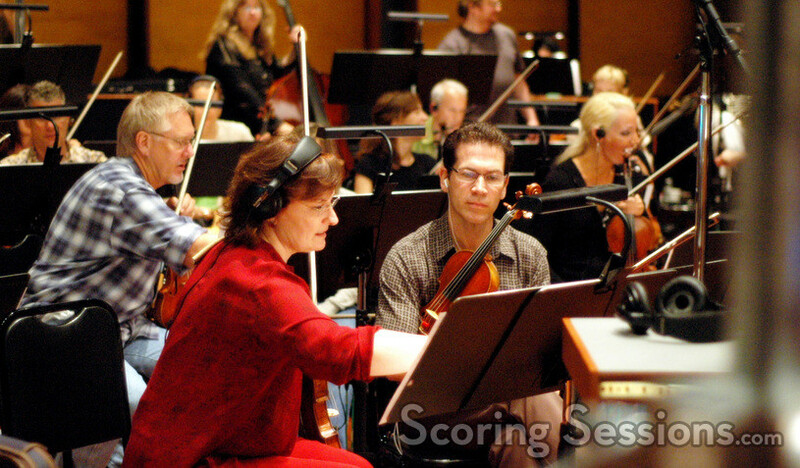 A score album will be released by Reprise Records on March 3, 2009.